There is no one-size-fits-all productivity solution. Different people have different ways to get things done. As much as you love technology, it might not be how you plan your day. But it can still help in giving you the right non-tech tools to manage your day. What’s The Benefit Of Paper To-Do Lists And Planners? The act of writing down and checking off a task can serve to “emblazon” it in your mind and offer positive reinforcement that is both visual and tactile. Brendon Burchard of the High Performance Academy made a sheet that you fill out at the start of the day to arrange your priorities. Burchard assumes you are a working executive and arranges your day into three broad sections: Projects, People, and Priorities. So you have three large projects, each with five sub-tasks. You then list the people you need to contact today, and the people who you are waiting to get in touch with you about some task. Finally, you add one must-do item every day which is your top priority. Just like that, you’ll start winnowing down your task list. Author and public speaker Donald Miller believes writer’s block and procrastination are a byproduct of not scheduling your day correctly. He shared his productivity system, which is geared towards managing your mental energy. So first, before you think about your work, you ask yourself, “If I could live today all over again, what would I do?” and fill that in. This mental exercise gets you thinking about your priorities. Next, you fill in all the things you’re going to enjoy doing today — it’s an optimistic and hopeful start to your day, which makes the “work” parts seem like a small hindrance before enjoying life. Then you note your daily appointments, keeping them to seven — if you have more than seven lined up, reschedule the rest. Finally, fill out your to-do list of up to 12 tasks and no more. You also need to write a life theme, which keeps your mind clear about your goal. Finally, add three projects, along with the rest or reward for accomplishing each. 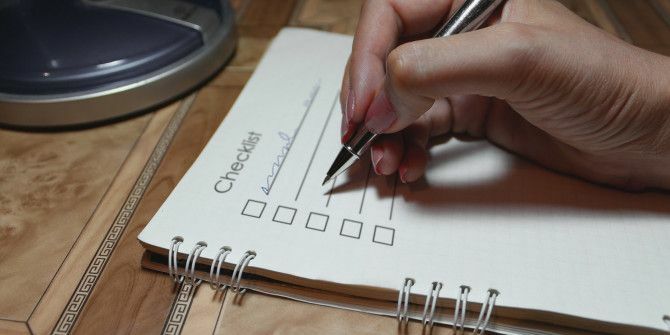 A lot of this actually follows the commandments of the right to-do list The 5 Commandments for Choosing the Right To-Do App for Productivity The 5 Commandments for Choosing the Right To-Do App for Productivity Different people organize in different ways. So choosing a to-do app really depends on what kind of person you are. Here are five commandments you can think about for your own productivity system. Read More , such as keeping it simple, focusing on your dreams, and so on. You can read about the system in more detail in the printable PDF. We live by the clock. You allocate X minutes to a task, and you repeat that to fill up your day’s schedule. But how often are you right? 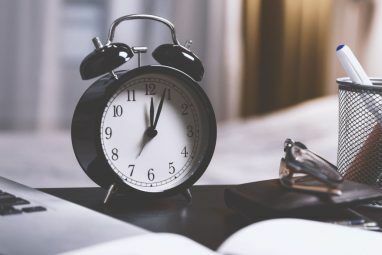 If you think there aren’t enough hours in the day, you’re probably not good with time management, whose roots are in an inability to estimate time properly. You can use time-tracking tools 4 Excellent Free Time-Tracking Tools [Android] 4 Excellent Free Time-Tracking Tools [Android] No matter who you are, time is an incredibly important commodity. We’re all allotted the same amount of time - 86,400 seconds every day - and it’s up to us how we spend that time.... Read More , but the 3×5 do-too system is a handy sheet that shows your estimates and reality. Each A4 printable page can be cut into four sheets. Write down your tasks (segregated as before noon and after noon) and the time it will take in the “ET” or “Estimated Time” column in the left. Once the task is done, cross it off and note the “Actual Time” or “AT” it took you in the right column. Keep doing this and you’ll slowly realise the gap between your estimations and reality. If this sounds like you, the One Good Thing By Jillee blog empathizes. She made this sheet to make more out of each day. This daily planner acknowledges the daily decisions you have to make, but also ensures you don’t take on too much by not giving you enough room. So there’s room for five to-do items; five appointments (with a time and details); breakfast, lunch and dinner planning; and notes for general thoughts. That’s it. Now carpe diem! David Seah, the maker of the Emergent Task Planner (ETP), says getting anything done in a day can be difficult if you’re in a job where interruptions and new events keep popping up. The ETP is meant to get at least three things done even in such rapidly-changing environments. Seah has detailed instructions on how to use his schedule, which plans your work hours, your breaks, and tracks the time you spent on each project. Along with that, you also get to maintain the interruptions in your life. Yup, that’s important too, because some daily distractions can improve your productivity 10 Daily Distractions To Improve Your Productivity 10 Daily Distractions To Improve Your Productivity Contrary to popular belief, there are some distractions that could actually make us more productive. Distractions need not be roadblocks...with these deliberate ways, they easily can be catapults. Read More . You know your goals. But you don’t seem to make much progress on them. Why? 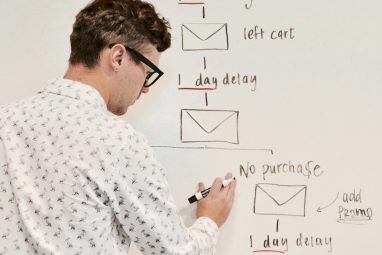 Charles Gilkey of Productivity Flourishing reckons it’s because our to-do list doesn’t focus on action, and we tend to give in to our mind’s desire to multi-task. The Productivity Jumpstarter makes things simple. You have a list of “action words”. List a goal, and use one of the action words to write a task using that action. Finish that task. No, you don’t get to fill in the list of goals beyond that first one before you finish the task. One thing at a time. It’s like Kaizen, one of the time management tips that can make you a leader 5 Time Management Tips That Can Make You A Leader At Life & Work 5 Time Management Tips That Can Make You A Leader At Life & Work Whether you realize it or not, you are a leader. Even if that means being a leader of your own life. These tips will help you become an even better one. Read More , which says consistent small improvements lead to big accomplishments. 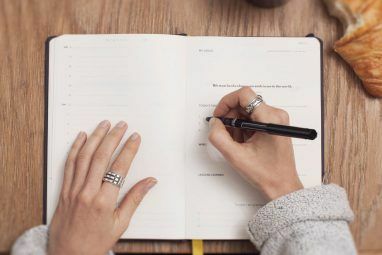 Productivity blogger Andrea Dekker’s daily planner factors in a daily routine with your ever-changing tasks. This list is ideal for work-from-home professionals, but anyone can customize it to their needs. For example, doing the laundry is part of daily routine, but you still need it in your to-do list as it’s a task that needs to be done. Use Dekker’s planner to first write down a set of routines for early morning, mid-morning, afternoon and evening. You’ll need a good PDF editor 5 Free Tools to Edit PDF Files 5 Free Tools to Edit PDF Files PDFs are universally useful. However, they fall short when it comes to editing. We're here to show you the best free tools to edit your PDF files. Read More , or you can use Chrome’s built-in PDF viewer How Chrome's Built-In PDF Viewer Lets You Do More Than Just Read PDFs How Chrome's Built-In PDF Viewer Lets You Do More Than Just Read PDFs Chrome has a built-in PDF Viewer tool that can edit PDF files. Sure, it’s not as powerful as certain programs. Still, as a quick-fix solution, Chrome is perfect. Read More . Every day, you will be logging your meals, your exercise, and even the number of glasses of water you ate. Along with that, you also have five must-do items, other tasks, appointments, notes and a “to buy” list. This could easily be dubbed “the daily work-life balance planner”. These printable sheets are great, but if you still want to stick to a digital solution, you can use Excel and Google Tasks to create a great goal management system Use Excel & Google Tasks to Create the Best Goals Management Tool Ever Use Excel & Google Tasks to Create the Best Goals Management Tool Ever Lately, I've started to realize that I'm working very hard, but if someone asked me whether or not I feel that I'm working toward a larger purpose, I'd have to say that I really don't... Read More . Do you prefer paper or digital for your productivity sheets and to-do lists? Let’s hear it from the loyalists on either side in the comments below! Explore more about: Printables, Time Management, To-Do List. I started using 5 Minute Journal a few weeks ago, and it's great, though on one of your images one of the questions is 'If I could live today over again I'd...', and I seriously think this is one of the questions 5 Minute Journal should add to their platform. Nietzsche said that he aims to live life so that if he had to live it over and over again for infinity, he would be happy with his choices. I think this is a fantastic philosophy to live by and we should think about it far more than we do.